We realised recently that our activities and day trips were linking together. 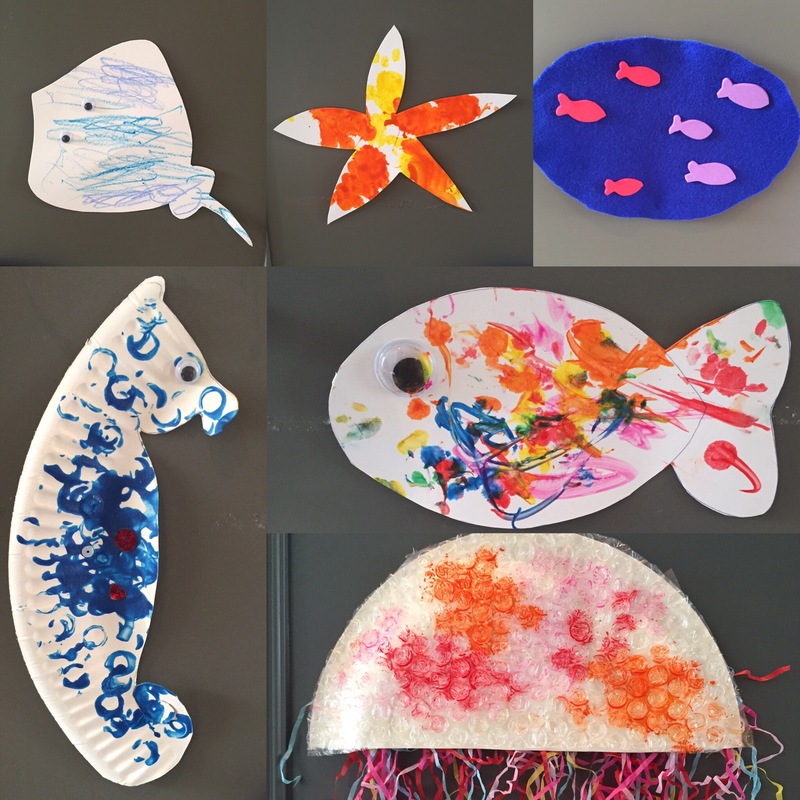 We’d planned a trip to the aquarium and had been busy making all sorts of sea creatures. So we decided to put them together and form our first themed week. These are pretty self explanatory from the photos and you can also let your child guide you with what materials they would like to use. We used lego to paint our seahorse, foam to make our red and purple fish and felt to make the water. The bubble wrap was a big success and was fun to paint on. Once we made each sea creature we watched a 2 minute clip of the creature online in their natural habitat so they could link their creation to the real thing. We found that by linking together our activities and trips it really helped consolidate our young (age 2/3) charges learning. New vocabulary was learnt, understanding of the world around them enhanced and we felt that their trip to the aquarium was more enjoyable for them after completing the crafts as they had the simple knowledge and vocabulary to understand what they were seeing.